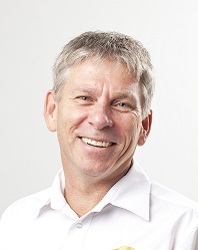 Delegates of the Burdekin Water Forum will hear from a range of local, state, national and international speakers including keynote speaker Professor Dr. Anthony Turton from the Centre for Environmental Management, University of the Free State, South Africa. Dr. Anthony Turton is a specialist in water-related risk mitigation. With a background in the South African security services he gained valuable insight into the processes involved in consensus-seeking over issues of national strategic importance. He was involved in the negotiated transition to democracy and encourages convergence where natural dynamics drive divergence. He is an internationally recognized specialist in transboundary waters, both international and sub-national, with a publication record that includes the Okavango, Jordan, Helmand, Zambezi and other major river basins. For the past decade he has been working on mine water management as a sub-national manifestation of a classic transboundary dynamic. 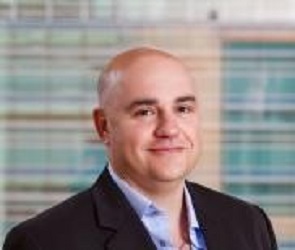 Anthony holds a professorship in the Centre for Environmental Management at the University of Free State, and he is active in the commercial world within the real estate development, financial services and water treatment technology sectors. He is an editor of the journal Water Policy responsible for all of the African papers. Stephen’s research broadly covers water quality and environmental change in the Great Barrier Reef (GBR) catchment area and lagoon. He has examined the water quality issues for a variety of land use types (e.g. agriculture, industry, urban) and potential improvements that can be made to reduce runoff to receiving ecosystems. Other research interests include examining past sea-level change on the east coast of Australia over the last 20,000 years, fringing reef development and growth in the GBR and the sources, transport and fate of fine sediments in the GBR lagoon. Gary Jensen Gary is a Hydrogeologist who has worked with water for over 25 years. 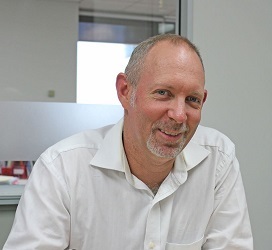 Gary has worked in both the private and public sector and has been based in North Queensland for a total of 18 years with the Burdekin region a key priority area. Gary is currently the Manager for Water Management and Use in the Department of Natural Resources and Mines, based in the Townsville office. Anthony is Program Coordinator for the Department of Environment and Heritage Protection’s compliance activities under the Great Barrier Reef protection measures, and was integral to the compliance reinvigoration that commenced in 2016. Since graduating from James Cook University with a Batchelor of Science, Anthony has undertaken both field and office roles across planning, assessment and compliance. This experience gained across a range of industries has helped in the shaping and delivery the current compliance effort. 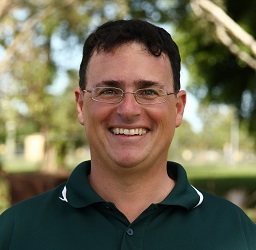 Adam is a North Queenslander born and bred.Growing up in the ideal surrounds of Townsville and Magnetic Island, Adam completed a Bachelor of Science with Honours from James Cook University in 1994, majoring in hydrology and catchment processes. His Honours was derived from a two-year research program undertaken in partnership with the University of Berne (Switzerland), investigating surface and groundwater hydro-chemistry within wet tropical catchments of North Eastern Queensland. 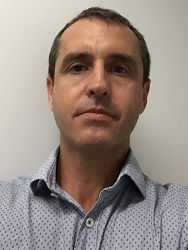 Adam joined the Queensland Public Sector in 1995, as a Technical Officer with the then Department of Primary Industries (DPI). Since that time Adam has held a number of positions within government leading and co-ordinating a diverse array of natural resource management, sustainable farming system and agricultural industry development initiatives. Adam currently holds the position of Regional Director – North, with the Queensland Department of Agriculture and Fisheries (DAF). His geographic area of responsibility encompasses the mighty Burdekin River catchment out to the border with the Northern Territory and north to the Torres Straits. With over 20 years of professional experience, Adam has developed a solid understanding of northern production systems and allied supply and value chains. He maintains a genuine passion for and commitment to enabling appropriate and sustainable agricultural industry development, particularly as it relates to the Northern Australia and the broader Asia Pacific Region. 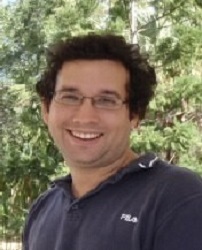 David Wachenfeld is the Director for Reef Recovery the Great Barrier Reef Marine Park Authority. He leads a team of ten technical, policy and management experts with a focus on: adapting Marine Park management to climate change; improving land management to reduce pollution to the Reef; prioritising coastal ecosystems for protection and restoration; working with fishers to improve sustainability of fishing activities; encouraging communities to protect their local environments; and improving tactical responses to crown-of-thorns starfish outbreaks.Working at the Authority since 1997, David was part of the team that developed and implemented the most recent Zoning Plan in 2004 and lead the first responses to the emerging issue of climate change from 2000 to 2007. David lead the development of the Great Barrier Reef’s first ever state of the environment report in 1998 and more recently was a member of the team that put together the ‘Outlook Report’ in 2009 and 2014. In 1993, he completed a PhD studying the behaviour and ecology of coral reef triggerfish in the Red Sea and Indian Ocean. Although his career has concentrated on coral reef management he has also worked in reef tourism and science. Jim Tait has multi-generational family roots to the lower Burdekin. Since graduating from JCU in the mid-eighties, Jim’s work has involved regional scale assessment and management planning for water resource and infrastructure development. Professional interests include freshwater fish, wetland ecosystems and catchment based NRM. He now has over thirty years’ experience as an environmental consultant working in river systems spanning northern NSW Australia to Papua New Guinea and Asia. As a Technical Advisory Panel member he has participated in the development of Water Resource Plans for seven Queensland river basins. In 2016 he was an expert panel member for the ‘Walking the Landscape’ flow process workshop for the Burdekin River basin. As Technical Manager Ecology for the National Land and Water Resources Audit, Jim managed the first national assessments of water quality, catchment, river and estuary condition and terrestrial biodiversity. Through 2005-2007 he helped deliver the GBR Coastal Wetland Protection Program. Engagements for GBRMPA have included health assessments for the Pioneer, O’Connell and Haughton Rivers, a management case study on the Lower Burdekin floodplain and vulnerability assessments for freshwater and estuarine wetlands across the GBR catchment. Jim’s client base includes three levels of government, mining, energy and primary industry sectors, research, legal, international aid and community based organisations. 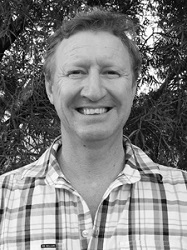 Geoff is currently the National Marketing, Certification & Training Manager for Irrigation Australia. Geoff has more than 24 years of experience in the irrigation industry working with leading companies. Prior to Irrigation Australia, Geoff had a long career stretching over 12 years with Davey Water Products in which he has held many senior management positions across sales, marketing and distribution. Throughout his career, Geoff has also held many other senior roles with Tubemakers / Tyco Water, and Southern Cross Pumps and Irrigation. Geoff’s is passionate about regulating the irrigation industry in Australia and raising the industry standards through training and certification programs. Robert leads the Bureau of Meteorology’s Water Program, delivering a suite of national water data and information services that include past, present and future assessments of surface and groundwater resources. He previously directed the Bureau-CSIRO Water Information Research and Development Alliance (WIRADA), a research partnership delivering operations-ready research outputs across water data, assessment and forecasting. Prior work includes fifteen years with The University of Melbourne on hydrological analysis and catchment modelling. Previously from Northern NSW, Alice completed a Bachelor of Applied Science (Agronomy) and has been working with Farmacist Burdekin as an Agronomist for 3 years. Alice focuses on precision agriculture and how it can be further used by growers in the Burdekin. Alice is also involved in projects looking at the use of Proximal sensors and how this can relate to nitrogen levels in biomass. Alice also has a heavy role in producing whole farm nutrient plans as part of the RP161 program that is helping growers apply their nutrients in a way that specifically relate to their farms nutritional requirements. 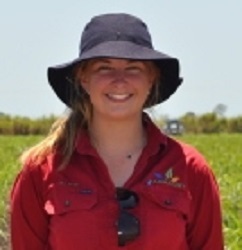 Billie White is a research and extension agronomist working for Farmacist in the Burdekin. Billie is actively involved in the RP161 project and the Reef Alliance Burdekin Cane Extension Project. Billie is also running trials as part of Project Catalyst. Billie enjoys her position with Farmacist as it involves helping growers improve their productivity and economic returns whilst reducing their impact on the environment. Billie has been in the Burdekin for nearly three years. Prior to this she was living near Bundaberg, and before that she grew up on cattle stations in the Northern Territory. 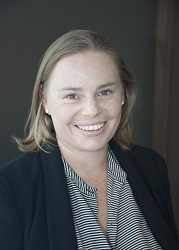 Georgia Twomey joined RaboResearch Good & Agribusiness in June 2014 as a commodity analyst, responsible for sugar, cotton and wool. Rabobank’s RaboResearch Food & Agribusiness team is charged with analysing developments in food and agricultural markets and industries, and advising the bank and its clients on strategic implications for their business. Georgia has a degree in Economics (Social Science) from the University of Sydney and was previously with the Australian Chamber of Commerce in Singapore as business programme manager, providing significant exposure to Australian business and government engagement in the Asian region. Georgia’s knowledge of agricultural production, processing and marketing has developed through marketing and supply chain management roles held within the Lempriere Group and as a consultant working on projects for local and federal Government and rural industry groups with natural resources and agricultural specialists Arche Consulting. 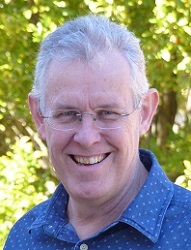 Colin Creighton’s achievements in natural resources, fisheries and agriculture include Sugar Industry Infrastructure packages, Reef Rescue I & II, Project Catalyst, and Revitalizing Australia’s Estuaries. Colin spends much of his time in volunteer aid projects in developing countries and continues to chase opportunities across Australia for more fish and prawns forever. Jane has 22 years’ experience working in the Great Barrier Reef on water quality science, catchment management and science facilitation. She has expertise in assessing interactions across catchment-to-reef landscapes, translating science for management application, regional water quality planning and conducting water quality risk assessments to inform management prioritisation. 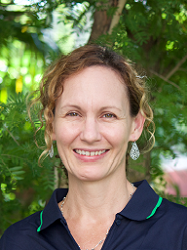 She is particularly interested in the synthesis of scientific information to inform management decisions, and this is reflected in a number of recent projects such as the leadership of the 2017 Scientific Consensus Statement and coordination of the Burdekin and Wet Tropics Water Quality Improvement Plans. Jane has been serving on a variety of expert committees to advise decision makers on how to address the water quality problems facing the Great Barrier Reef, including the Australian Government Reef 2050 Independent Expert Panel and the Queensland Government Water Science Taskforce. 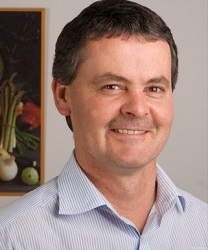 As the Senior Manager for Environment and Sustainability at CANEGROWERS, Matt’s key areas include industry engagement, sustainability, the Great Barrier Reef including water quality issues, incentive programs, regulations, practice change and policy, biosecurity, climate, chemical and fertiliser stewardship and vegetation management. Matt has an Environmental Science background and a broad base of experience within the biotechnology, environmental, agricultural and communications sectors. Matt’s early years were spent on water quality and vegetation management in Western Australia. 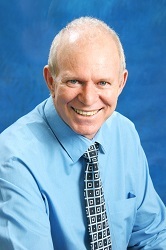 He moved to Queensland in 2004 and has been working within the biotech and agricultural industries on challenging projects that included the registration of new products with the APVMA, the commercialisation of natural insecticides, and the complexities of biofuels, GM crops, and infrastructure within the Australian grains industry. Matt’s role at CANEGROWERS allows him to deal with a broad range of topics is environment and agriculture. This often means he is in the middle of some pretty challenging problems and complex issues. A lot of them relate to the health of the Great Barrier Reef. Most of them involve change of some kind. All of them have strong views and opinions which need to be considered and brought together to find an answer. Matt likes to work at the point where farm productivity, grower viability and environmental stewardship meet. He believes this is the definition of agricultural sustainability. 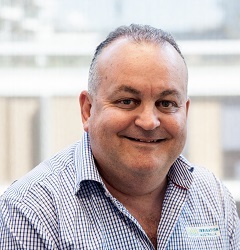 David Sartori is the Executive Officer at Lower Burdekin Water and is responsible for the management of the Category 2 Water Authority delivering sustainable water services for the prosperity of agriculture, industry, community and environment within the Burdekin region. David completed his degree in mechanical engineering at the Queensland University of Technology and has held positions in project management, asset and reliability engineering as well as contract and risk management. Born and bred in the Burdekin, David grew up on sugar cane farms and is now the third generation involved with the farms. Steve Attard Steve spent 17 years working for CSIRO. During that time, his focus was developing an understanding of how much water sugarcane uses, and irrigation management to maximize sugarcane productivity and profitability, as well as the water quality impacts. In 2013, Steve formed a consultancy, AgriTech Solutions, that has worked on several water and irrigation related areas including automation of surface irrigation, improving energy efficiency and reducing energy costs of irrigation, irrigation system design, and building smarter irrigation systems. Mr Scott Wallace, Growcom Land & Water Manager, currently manages the highly successful Land and Water team delivering key projects such as Water for Profit, Reef Trust, South East Qld BMP, EnviroVeg, Hort360, associated grower training and consultancy activities. Working for Growcom since mid 2003 Scott is the principle designer of the Growcom Hort360 and brings a wealth of experience in developing and delivering Hort360 for productivity, business and stewardship outcomes. In delivery of the key water use efficiency projects Scott is a key driver in the development of a series of information databases enabling industries and individual irrigators to better position themselves to address the changing needs of the market place, climate variation and government legislation. Through the Rural Water Use Efficiency Initiative Scott has provided growers with numerous workshops and field days during the past 15 years. During this time he has mentored a number of Water for Profit and Land and Water staff in dealing with irrigation related matters and provided support in their professional development. Scott also has oversight of Growcom’s water policy and sits on Queensland Farmers Federations’ Water & Energy Policy Committee and Qld DAF Regional Economic Development Programme steering committee assisting growers to diversify. Through these mechanisms Scott is looking to influence decision making to ensure the sustainability of the horticulture industry and to ensure that producers have easy access to tools / systems / processes to assist with adaptation of an ever changing climate both economically and meteorologically. 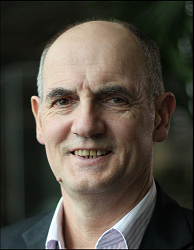 Ian Atkinson has a background in computational chemistry and applications of Supercomputing for scientific applications. More recently he has been engaged in e-Research – the application of advanced ICT tools to research process and the application of distributed sensors. He has a long-standing interest in. His current interests are in sensor networks, data grids, mobile and ubiquitous computing and data management. He is a CI on several large projects including Sensor-Q & SEMAT which applies low cost commodity computing to marine and esturing sensing. For more information on his research group, projects and collaborations see the JCU eResearch Centre web site: http://eresearch.jcu.edu.au. He is currently working with CSIRO and other partners to introduce new technologies into the beef supply chain. 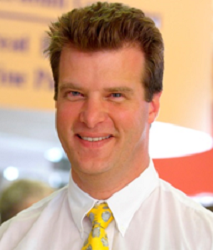 Dr Scott Crawford is the Chief Executive Officer of NQ Dry Tropics. 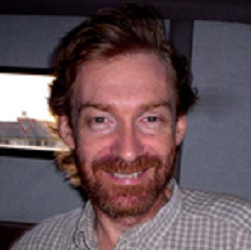 Born in Brisbane, Scott began his career as an earth and water scientist, initially with CSIRO in Townsville. He has over 30 years’ experience working within the government, not-for-profit and research sectors in a variety of environmental and natural resource management roles across Queensland the Northern Territory, and New Zealand. 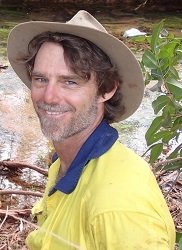 Scott returned to Townsville in 2006, as Operations Manager at NQ Dry Tropics, a not-for-profit, non-governmental organisation that supports the Burdekin Dry Tropics community to sustainably manage its land and water. He has been CEO since 2010. He is passionate about working collaboratively with land managers to deliver smarter, more profitable and more environmentally sustainable solutions to the way in which we use our natural resources. Tom is a civil engineer with over 30 years experience in water in water resource strategy, planning, operations and management. Tom works closely with clients from both the public and private sectors to tackle a wide range of strategic regional water challenges in Australia and globally. He holds an NRM Australia Day Medallion that was awarded by the Australia Day Council for his contribution to regional water resource planning in Queensland. Tom was an inaugural Director of Irrigation Australia Limited, a founding member of the Australian Water Accounting Standards Board and is a Fellow of the Institution of Engineers Australia. Lawrence Di Bella is employed by Herbert Cane Productivity Services Limited (HCPSL) located in Ingham, Queensland. Lawrence leads a team of 14 staff working in the fields of crop husbandry, agronomy, pathology, entomology, precision agriculture, crop protection, natural resource management and extension. His team is currently working with industry to improve productivity and sustainability for the 63,000 hectares of sugarcane farmed, in the Herbert cane growing region. 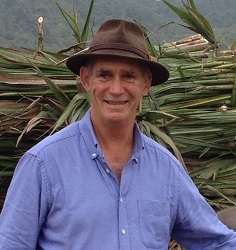 Lawrence has been involved with the Australian Sugarcane industry for over 25 years. During his employment he has worked in the fields of plant breeding, agronomy, natural resource management and extension. He has also travelled extensively during his working career to PNG, South Africa, Swaziland, Argentina, Brazil, USA, Russia and Kyrgyzstan. Lawrence also applies his knowledge to his own cane farm outside of Ingham; in his spare time. Frank Mugica Frank was born and bred in the Burdekin and after completing senior went straight onto the family farm. Frank has seen many changes in farming with family farming Green Trash Blanketing in 1988 and fertiliser application equipment (stool splitting 1990). Frank has farmed previously in the BRIA regions in both Clare and Dalbeg until 2011 and began farming in the Delta in 2013. 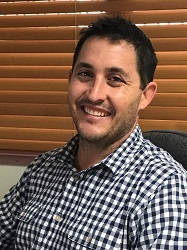 Frank was a previous director of Invicta Canegrowers, BRIA committee and represented Sugar industry in Young Rural Leaders Program in Canberra in 2005. Frank is presently involved in Project Catalyst, Systems Repairs, a member of AWA and community groups.